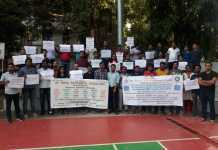 As it is quite evident that Dwarka is not a place which everyone likes to prefer partying. But gradually, many cool places have come up in the area. One such place that can probably save Dwarka peeps a trip to Hauz Khas, Gurgaon or Rajouri is The Playground. Playground is kinda hidden café in Dwarka, it’s still unknown to many people. But it is a perfect place to enjoy if you are a sports person or if you want to play video games and relax over a few drinks and a good meal. It’s a great place to hang out with friends or celebrate a special occasion. 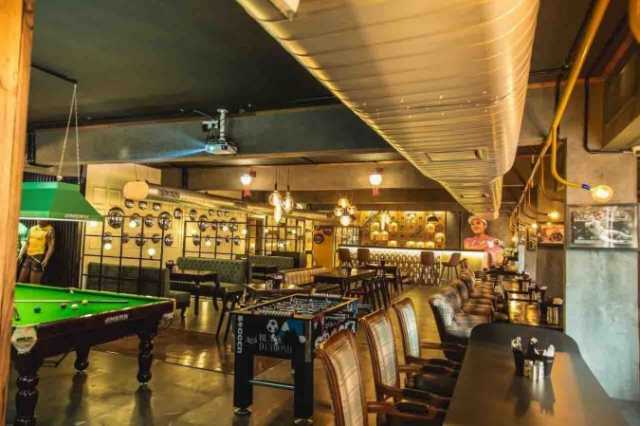 This sports bar has got cool graffiti, drop down banners of popular football clubs like United and Arsenal, and lots of exciting activities to keep you occupied. You guys can also give pool a shot, and if you and your gang are indoor lovers then there’s nothing as good as a game of carom. The best part about the place is the interiors are done just according to the theme of the café. The café has lockers designed as snakes and ladders and a wall with carom boards hanging on it. They also have a huge projector for live match screenings, so you can stay updated with all the game-time action while you wait for your food. 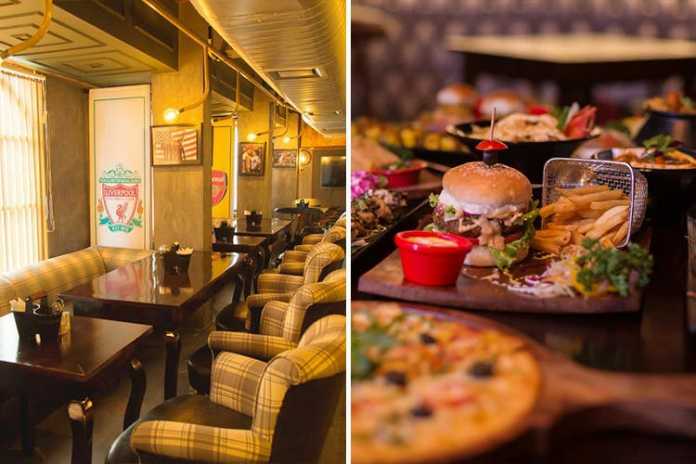 And then after a tiring and fun session of games, The Playground has an expansive and not very expensive food menu with yummy nibbles and mains you can enjoy with drinks. Their LIIT and Ex on the beach are crowd favorites. If you plan on drinking, be sure to drop by on a weekend because they are awaiting a permanent liquor license. Their BBQ Chicken Pizza is a must have, it is loaded with cheese, chicken chunks and is probably the thinnest crust pizza. 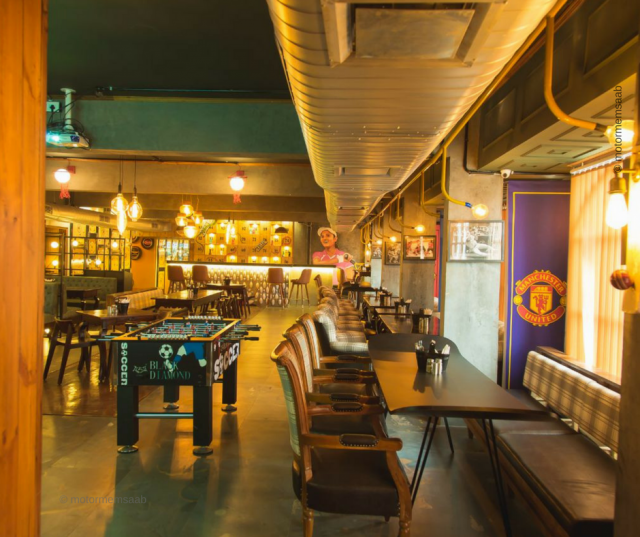 The café is located near Dwarka sector 12 metro station and can be spotted easily on reaching there.